Link « Format « DDOcast – A DDO Podcast! Half-Orc Race: Tap the power of orcish blood as a half-orc! The strongest of all player races, half-orcs make excellent barbarians, fighters, and favored souls. 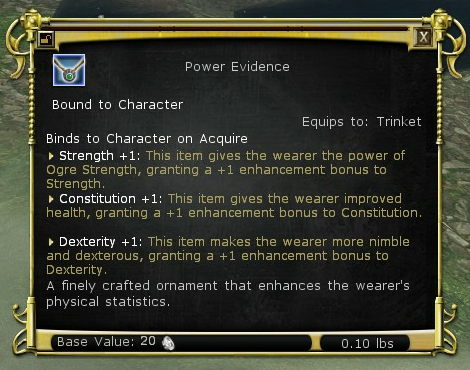 Power Evidence Trinket: Give your characters a boost with the Power Evidence trinket. Granting +1 STR, DEX, and CON, this trinket is a must for any melee class. 500 Turbine Points: Enhance your adventure with 500 Turbine Points. Buy additional quests, cosmetic pets, experience boosts, buffs, and more. Looks like Marsheila Rockwell is promoing her new book, The Shard Axe, over at Literary Escapism as a guest author. She’s even posted an exciting excerpt of her new book. Read the full article here! Marsheila (Marcy) Rockwell is an author, poet, editor, engineer, Navy (Seabee) wife and mother of three wonderful sons. She is a member of the SFWA, IAMTW, and SFPA and her work has been nominated for the Rhysling Award for the last five years running. 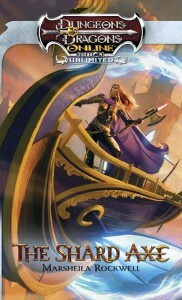 Her first novel, Legacy of Wolves, was published by Wizards of the Coast in 2007 and her latest, The Shard Axe (the first official Dungeons & Dragons Online: Eberron Unlimited tie-in novel), was just released from Wizards in September. She is currently working on the sequel. You can find out more about her latest projects here: www.marsheilarockwell.com. Ron’s DDO Character Planner Updated! Dungeons and Dragons Online Character Planner is now update to v03.11.01! Time to make some Artificer Builds! FordyTwo is at it again with his 101 class series for the DDO Compendium! Now he’s looking for feedback on for Barbarian 101. Written for newly-starting DDO free players, they’ve opted for a human Two Handed Fighter (THF) template with a 28pt build. The skill, feat and enhancement selections are designed to output solid damage with reasonable survivability (for a new player). 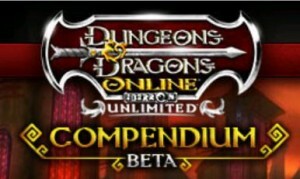 DDO Update 10 Patch 2 Notes for Live Servers! 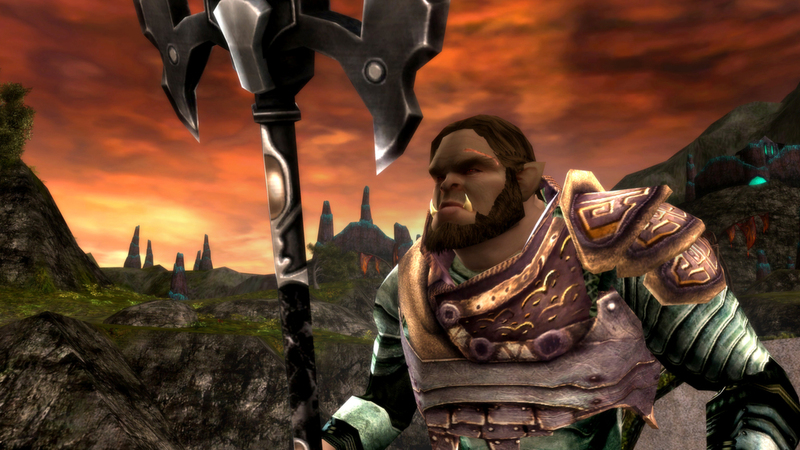 Update 10 Patch 2 Release Notes for Dungeons & Dragons Online! These release notes were posted on Monday, July 25th, 2011. The DDO Game Servers, forums, Wiki, and http://myaccount.turbine.com will be offline for maintenance on Monday, July 18th from 6:00 to 10:00 Eastern (-4 GMT). Thanks for your patience, and we’ll see you back in the game soon! DDO Store Sales 7/13-7/21: Hearts of Wood & Hair Styles! Howdy! Our next 101 class guide is for the favored soul, and we’d love to hear your feedback. If you have a one or two sentence tip for newbie favored souls, do share! We’ll have an “Every favored soul should know …” section at the beginning of the guide providing some of these helpful tips. This Favored Soul 101 feedback includes: a basic overview of styles of play for favored souls, an general overview of ability scores and basics on skills and spells. Why go elf and TWF scimitars with our template? Our previous templates have all been human, so we wanted to add a little flavor this time around. Additionally, new players using this guide are already investing in the favored soul class, which likely means they’ve paid for it. We didn’t want to pile paying for warforged on top of that. Update 10 Patch 1 Release Notes for Dungeons & Dragons Online are now available for the Live Servers! These release notes were posted on Monday, July 11th, 2011 after today’s patch. All worlds are now available as of 11:00 AM Eastern (-4 GMT). The Monk class is worth it. I personally like the hirelings. I don’t think its worth buying weapons from the store. Some of my favorite stuffs! SP pots and Bells of Opening FTW!! Pity crafting xp boosts aren’t on there. Festivult in July is Back! You know it was coming, and its here! Ice games, coins, Festivult Jester, and (our favorite) COOKIES!! Are you the most awesomest cleric evar and solo heal a elite shroud raid, would you like to pass on your founts wisdom on healing to the young folk? Go for it!